Item # 312719 Stash Points: 3,495 (?) This is the number of points you get in The Zumiez Stash for purchasing this item. Stash points are redeemable for exclusive rewards only available to Zumiez Stash members. To redeem your points check out the rewards catalog on thestash.zumiez.com. 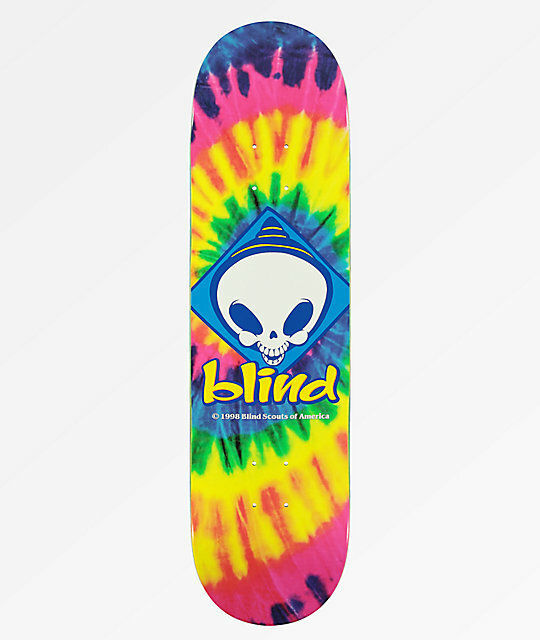 Add loads of color to your flip tricks with Blind's Reaper Scout Tie Dye 8.25" Skateboard Deck. Offering an overall medium concave, this board provides well-rounded boardfeel and comes complete with a bright tie dye colorway that's finished with Blind's signature grim reaper emblem at the center. 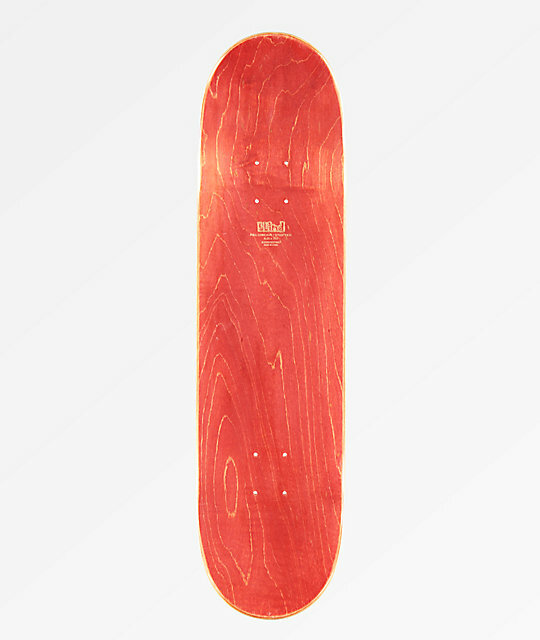 Reaper Scout Tie Dye 8.25" Skateboard Deck from Blind. 7-ply maple construction with single deck press and epoxy glue resin.